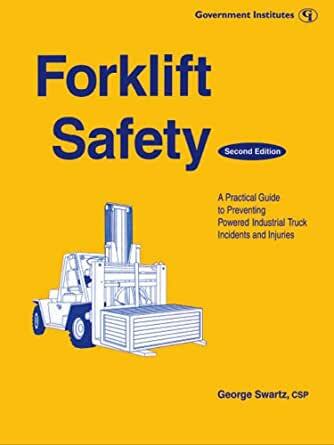 Written for the more than 1.5 million powered industrial truck operators and supervisors in general industry, as well as those in the construction and marine industries, this Second Edition provides an updated guide to training operators in safety and complying with OSHA's 1999 forklift standard. This edition of Forklift Safety includes a new chapter devoted to the new OSHA 1910.178 standard and new information regarding dock safety, narrow aisle trucks, off-dock incidents, tip-over safety, pallet safety, and carbon monoxide. As a Forklift administrator and having to write a complete training program that will ensure compliance with the new standard that will soon be effect. I found this book vewry helpful in guiding me to a comprehensive training program.